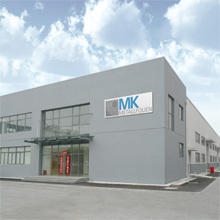 Since 2011, MK Metallfolien has been running a service centre in Wujiang, about 90 km east of Shanghai. In 2010, China passed new legislation on air pollution control, prescribing e.g. the use of catalytic converters in motorcycles. These future exhaust emission standards (analogous to Euro III, IV, V) demand the development of innovative catalytic converter concepts. With our core expertise in the field of metallic foils for catalytic converters, it was the next logical step on this key market to open our site in Wujiang.